You can now place orders, get quotations and solve your tech support issues directly with SRS from anywhere in the world. 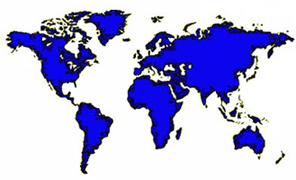 Alternatively, we have representatives in many countries that can also assist you (see below). SRS accepts direct orders from all countries. Purchase orders may be placed online, or by phone, fax, mail or email. We accept prepayment wire transfers on any order, and we accept credit card (VISA and Mastercard) payments from most countries. We also offer Net 30 Day payment terms to many international customers. To order online, click here. Online orders will ship by UPS, Federal Express, or DHL. You will be presented with all available shipping options. Submitted (not online) purchase orders can specify other shipping methods. Custom duties and/or tariffs imposed by the destination country are to be paid by the purchaser at the time of delivery. SRS has authorized representatives in most countries. Select a country, and a list of the SRS representatives will be presented. If your country is not listed, please contact SRS.